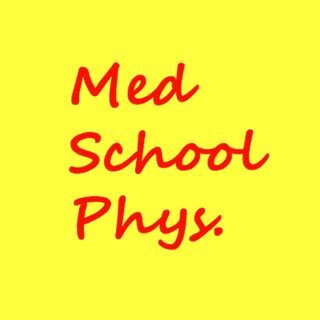 A physiology review podcast for medical students. The Med School Phys podcast discusses topics in human physiology. Our primary aim is to help medical students learn/review high yield material for their classes and board exams. Hopefully listeners find that this alternative audio-based learning format works for them. This podcast is intended to be educational and all the information ... See More shared herein is publicly available through the internet. Med School Phys is an independent project and currently shares no affiliation with other organizations, companies, or academic institutions. DISCLAIMER: All information, content, and materials published by the Med School Phys podcast are for informational purposes only and are NOT intended to serve as a substitute for the consultation, diagnosis, and/or medical treatment of a qualified healthcare provider. Please consult your healthcare provider regarding personal medical decisions.